Maarten Markus leads the Business Unit Northern Europe as Managing Director. His management portfolio consists of 127 hotels in 13 countries with 6.500 employees. Maarten Markus oversees the implementation of all strategic initiatives for Northern Europe with a special focus on quality, guest experience or innovative digital services like FASTPASS. Upcoming projects in key urban markets include the expanison of the lifestyle brand nhow and the premium NH Collection brand with four openings in 2019: Among them are NH Collection Amsterdam Flower Market, nhow London and NH Collection München Bavaria. Mr. Markus (1965) looks back at an impressive career in the hospitality industry that started with NH Hotel Group in Ghana in 1994. As General Manager he led NH Zandvoort until 2004, and continued then his career as Regional General Manager with extended responsibility for NH Schiphol Airport, NH Zandvoort and NH Marquette. He became Director of Operations for Benelux, UK, France and South Africa in 2009. In 2010, he moved to Berlin as Managing Director of the Business Unit Germany and Poland. One year later Austria, the Czech Republic, Hungary, Slovakia, Switzerland, Romania and the United States of America were added to his responsibilities and he became Managing Director for the Business Unit Central Europe. 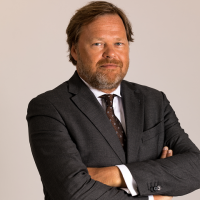 In July 2017, Maarten Markus was appointed as Managing Director Northern Europe at NH Hotel Group. Mr. Markus is based in Hoofddorp (Amsterdam) and Berlin.